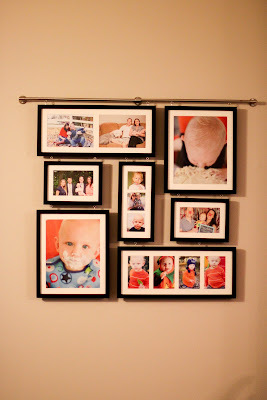 I Love You More Than Carrots: RedEnvelope Gallery Wall Review and $50 Giveaway! I have been a fan of RedEnvelope for as long as I can remember. As a matter of fact, I'm fairly certain my first purchase from them was a set of beautiful sterling silver chopsticks purchased back in 2000. Since then I've purchased a myriad of gifts from them for both myself and family and friends. I even wrote about them and one of my favorite ornaments right on this blog in 2009. It goes without saying that RedEnvelope is a unique company that offers a wide range of high quality and personalized gifts for everyone on every occasion. One of my favorite personal touches is the special stories behind so many of RedEnvelope's gifts that are often included alongside them. It truly makes the gift in question that much more endearing and one-of-a-kind to both the recipient and the gift-giver. With Christmas right around the corner, I have no doubt in my mind that RedEnvelope is the place to find unique Christmas gift ideas for everyone on your list. 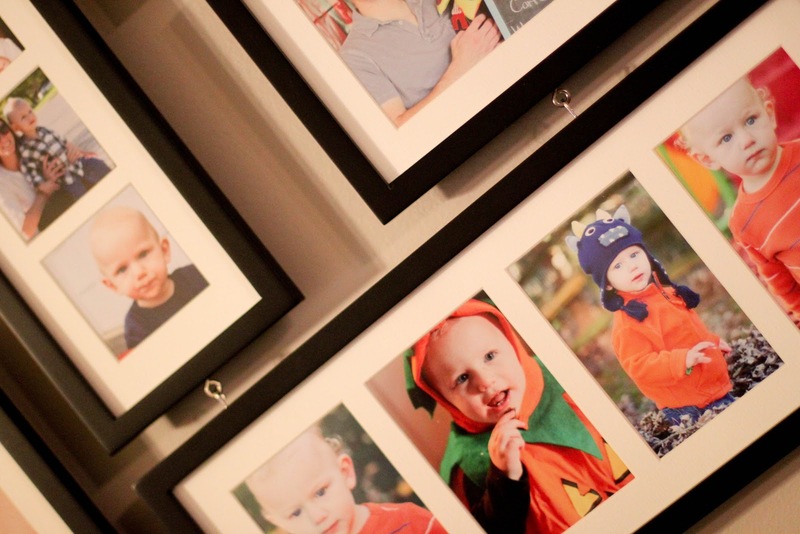 I have had my eye on RedEnvelope's Deluxe Wall Gallery Frame for months and let me tell you, Loyals, I felt like a kid on Christmas morning when, after recently partnering with them for a product review, I was given the opportunity to review the Deluxe Wall Gallery Frame. As soon as the well-packed package arrived on my doorstep, I didn't waste a minute employing The Husband to get to work hanging it in its designated location. 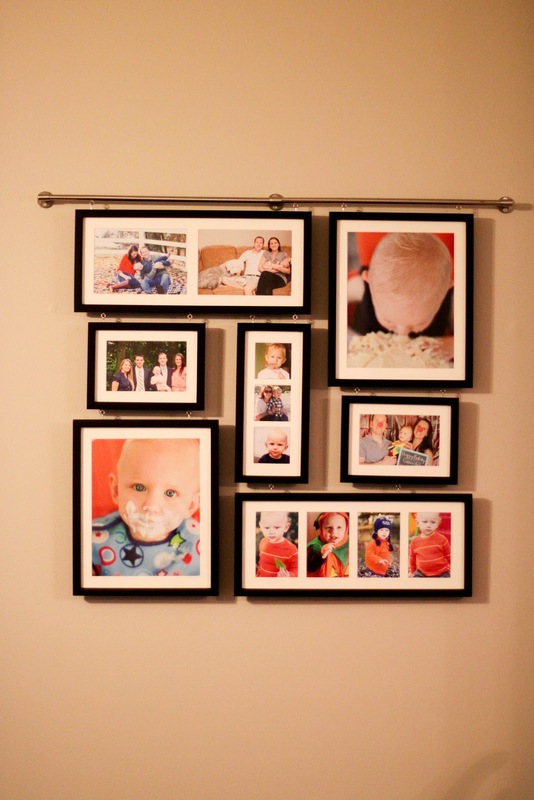 Lightweight and incredibly easy to hang, we had the gallery wall assembled and ready in no time. The instructions were easy to read, included helpful diagrams and most importantly, included one of those easy-to-hang templates that stick right to your wall and guide you when leveling and placing your nail marks. The nickel-plated brass bar, from which the photos hang, is both sturdy and has a beautiful finish. It compliments the furniture and decor in our family room very nicely and it was great to be able to choose from a variety of color finishes for the frames themselves. Once hung, I did need to tighten a few of the hooks on each individual frame in order to even them out, but that was accomplished simply by gently twisting them and tightening them into place. I am incredibly happy with both the ease of installation and incredible quality of this product. I've already received a handful of compliments on it and am looking forward to showing it off during the entertaining of the holiday season! Just in time for Christmas, RedEnvelope would like to give one of you, sweet Loyals, a $50 gift code to be used on RedEnvelope.com. Of course I would suggest spending it on just one of the many special people on your shopping list, but heck, you may want to save this code just for you! :: You must be a registered follower via Google Friend Connect or RSS Feed of I Love You More Than Carrots. :: You must "LIKE" RedEnvelope on Facebook. You can do so by clicking here. When you do, you'll receive an extra 20% off of your order! Sweet! :: "LIKE" I Love You More Than Carrots the Blog on Facebook. You can do so by clicking here. This giveaway will be open through Friday, December 2nd. The winner will be chosen randomly that evening and announced on the blog Monday morning. Good Luck and don't forget to spread the RedEnvelope love! Happy Monday, Loyals! 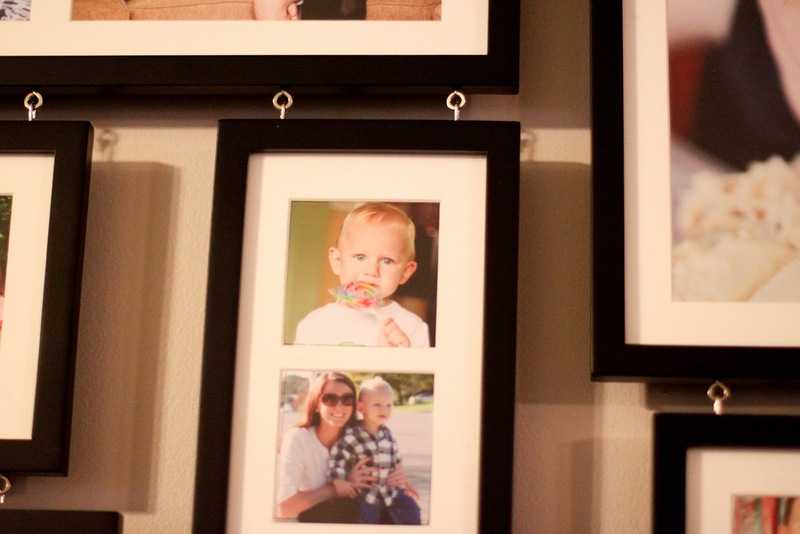 **I was gifted the Deluxe Wall Gallery Frame free of charge in compensation for my honest review of the product. The thoughts and opinions expressed in this review are truthful and solely my own. But of course I follow you love. And I "liked" Red Envelope on FB. Duh, of course I'm a follower!! I like them on fb too! i liked red envelope on fb! I'm a follower and like RE on FB. Yay! I have been waiting to order the Baby Keepsake boxes for my nephews coming soon.. they just need to schedule that c-section! I follow and liked! I'm a follower and I like Red Envelope on FB. Of course, I already follow you and I liked RedEnvelope on FB. Love that gallery wall! I "liked" Red Envelope as well. And I already like you! :P Cute pics too! I liked Red Envelope on FB. Of course I follow you and like RE on Facebook! I follow you on GFC and like Red Envelope on Facebook! I "Liked" Red Envelope on FB. I would love to win this. I follow your blog and I've liked Red Envelope on facebook. And I also like your page on facebook! And I tweeted about you and the giveaway too! I have been coveting that frame for years!! Oh, yeah. You know I follow via the GFC, right?? hewella1 at gmail dot com. I like red envelope on fb. That's gorgeous! I'm a follower & like the Red Envelope on FB! & I like ILYMTC on FB! I "liked" RE on FB! I follow you and like Red Envelope on Facebook. I like ILYMTC on Facebook! Yay for giveaways! I follow you! And I liked them on FB also!! Wow it looks great! I follow you! I "Like" ILYMTC on FB, but I wish I could "LOVE" it instead. Just "Like"d Red Envelope on FB! Annnnnnd, I just tweeted that shiz! Boom! I also liked Red Envelope on Facebook. I follow you and I "liked" Red Envelope on FB. Liked them (Red Envelope) on Facebook! And I "like" Red Envelope! I neeeed something for the blank wall in my dining room that mocks me daily. liked Red Envelope on facebook. I've liked RE on FB! I'm a new ILYMTC follower! CUTE blog! I tweeted about this fab giveaway too!! Oh and I liked them on Facebook!! Love them! I follow you and I liked RE on FB. I follow you and like Red Envelope on Facebook. I'm dying for some of their Christmas jammies for T! I like ILYMTC on Facebook. I tweeted about the giveaway. Pick me! Pick me! I follow your blog and liked Red envelope! I also like your blog on Facebook! I've been a fan of Red Envelope for years, and I love this collage. So unique like all of their gifts. I like LYMTC on FB. love the gallery wall!!! I follow you and liked them on facebook!! I liked Red Envelope on FB, too! I was already a follower of you;) but I also went and liked Red Envelope on Facebook. I'm a follower and I liked them on the facebook! I like ilymtc on the fb too! I like RedEnvelope on Facebook (Elena Shkinder-Gugel). I like I Love You More Than Carrots the Blog on Facebook (Elena Shkinder-Gugel). And I liked the Red Envelope people on FB!